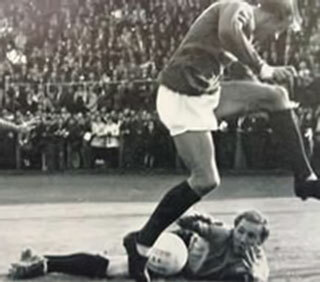 Mike played in goal for Watford for five seasons between 1968 and 1973. He went on to play for and manage Colchester United, moving on to manage Norwich City, Everton and APOEL. 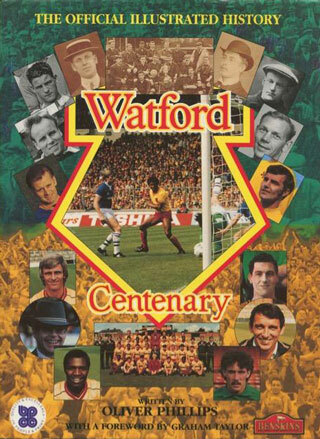 Now living in Cyprus, Mike spoke to Watford Legends in 2013. Hi Mike, thanks for talking to us. You moved down to Watford from York, how did that move come about? I’d gone to York a couple of years previously as an 18 year old or so. York were struggling around the bottom of the fourth division to be honest but I got spotted and asked to play for Wales U23 team so I was playing reasonably well but I was still playing for a club that was always fighting against relegation from the league. Out of the blue the club got contacted by Watford to ask about my availability. I don’t think it was a hefty fee they paid, something like £5,000 I think it was, but that was enough to twist York’s arm. I had lived in Reading for most of my younger years so heading back to the south was quite appealing to me anyway. The fact that Watford was a bigger club with potential made it seem a good move for me. Did you settle into the club quickly? Yes I did. It was a pretty useful team at Watford already and I then went to meet the manager, Ken Furphy, and we seemed to get on alright. It all seemed like a great opportunity so we didn’t take a lot of persuading to be honest. How did you find Ken Furphy as a manager? Ken was very good; he was good to everyone and had a good few years at the club. He was an important figure and helped to make it a successful move for me and everybody else associated with the club at the time. You made 137 appearances during your time as a Hornet; do any of those games stand out for you above the others? Well the whole of the first season I was there is particularly memorable as we got promoted to the Second Division as it was then which was a good achievement. We went through the season really confidently. We thought at the start of the season that we had a good chance of promotion and that was how it proved. It was largely down to that belief that we would get promoted that prompted me to make the move in the first place. I remember that particular season we battled it out with both Swindon and L*ton for promotion, there were a few other challengers as well but primarily they were the main two, so the games against those were great. The games against L*ton were obviously a local derby as well which added some extra meaning to the games. We were also fortunate enough to have some good cup draws whilst I was at the club as well which gave us some exciting games to be involved in so that first season was great. I kept 22 clean sheets that season as well which is great from a personal perspective but that’s not me talking myself up, that was largely down to having a solid defence and everybody in the team doing their defensive duties from the front to the back. We could score goals as well so it was an all-round good balance within the team. Are you still in contact with any team mates from your time at Watford? Not since I have come over to Cyprus really. I was in touch with Mickey Packer for a while and John Williams as well. Tom Walley I was in touch with for quite a while afterwards as well before I lost touch with him as well unfortunately. Keith Eddy went to America I think with Ken. So one or two for a while but we drifted apart after a while as you. I went back to a reunion in Watford a few years back and quite a few ex-team mates were there as well so it was good to catch up with a few of them. You played in the side that famously beat Liverpool as well. Yes I did. That was the year we got to the semi-finals in 72 I believe and we beat Stoke in the next round, Gordon Banks was at Stoke at the time. We lost in the semi-final to Chelsea who had a very good time with the likes of Osgood, Webb, Bonetti and what have you. They went on to beat Leeds in the replay of the final. It was a good team we had and we were capable of results like that. You went on loan to Charlton and made just the one appearance before moving on. Was that move just a stopgap until you found a permanent move? Basically they had brought Andy Rankin in to replace me, and also the manager at the time wasn’t my cup of tea to say the least. In fact I don’t think he was many peoples cup of tea if I am being honest. I would say he is the worst manager I have worked under, and not just because he dropped me. So it was agreed that I would go to Charlton and Dennis Bond would go the other way. I played one game and we lost 5-1 so not ideal! But within a week Bond had fallen out with the manager at Watford and he wanted to head back to Charlton, and the deal was called off and came to an abrupt end. It was over before it started really. I was in and out with the rest of the Watford team for the rest of the season and then once the season finished I moved to Colchester. You said you enjoyed working for Ken Furphy, what was it about George Kirby’s style that you didn’t like? He couldn’t coach, I didn’t like his attitude and you only have to look at his record at the club to see how bad he was. I believe the club got relegated a season or two after he arrived. Was it a personality thing or just down to his style? He was very different and ruffled a few people’s feathers. He told me one day that his hero was Reg Matthews, the old England keeper that played for Coventry and he always told me that if Reg came for a ball and didn’t get it then he would smash somebody with an elbow instead. That was his outlook – if you can’t get the ball then kick them instead. He wasn’t too clever on tactics either. There are lots of other things I could go into as well but I won’t. He has passed on now which is unfortunate but it means I won’t say anything more about him. Do you think the managers you played under throughout your career helped to mould your style as a manager? I picked up a lot from Ken. He had a good spell in America and picked up some great points. He always wanted us to play football as well which is something I believe in. Dave Sexton and Terry Venables were others I worked with and picked up a lot from, and then with others you don’t rate such as George you learn what not to do! I’m not really doing anything to be honest! People say I am retired but I don’t consider myself retired as such as I still keep an interest in the game. I came over here to work for a bit and I did for a while but it’s not too conducive to work in football here as there aren’t many English people about. Basically I settled here and met Julie and so stayed here. I do feel I am missing out a bit. If I was given the opportunity I’d look at coaching or managing as it is in your blood as any ex player or manager will tell you.